Das Dutchman Essenhouse Restaurant in Middlebury Indiana entertains thousands of visitors each year. They come to taste dozens of authentic Amish dishes like rhubarb butter crunch and shoo-fly pie. 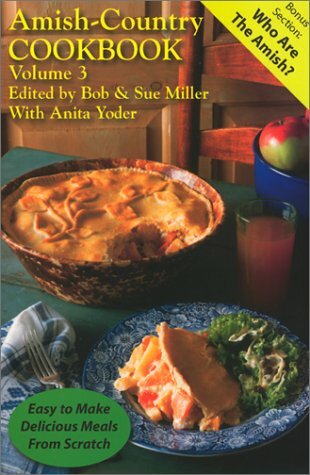 Restaurant owners Bob and Sue Miller share some of their favourite Amish recipes, along with traditional Midwestern fare, in the Amish country cookbooks. The husband and wife team began their restaurant career with Das Dutchman Essnehouse at Middlebury, in the mid-1970's. This popular Amish attraction has grown to a chain of six restaurants in various states.